Into 1999, the end of the century, and our reinvention of the previous year has worked spectacularly. We are busy. The two of us, 1999. And yes, the house has gained a stylish new couch. We no longer sit on the floor all the time. As well as continuing to run our successful Creativity courses, our aim of taking elements of our ‘personal programme’ into organisations has paid off. We’re working with rooms full of people interested in changing their lives in positive ways, as well as making their organisations both more effective and better places to work in. 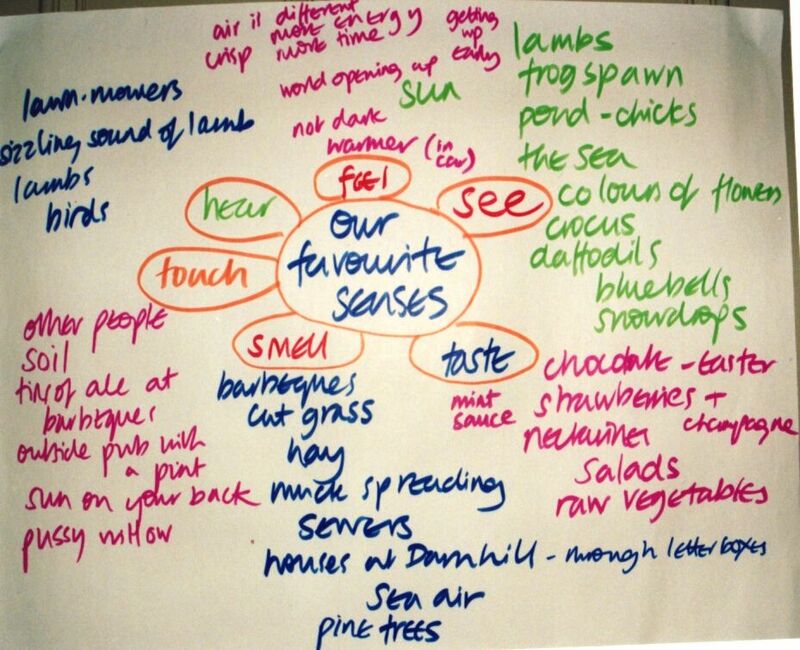 Helping people ‘come to their senses’ and so be more creative. Sarah publishes an article in the housing press about how to deal with negative stress in your life and work. And we write a book, together with a group of people working in housing and residential care about how to work with residents on making improvements in their lives and places. For many years afterwards we’ll still be getting asked for copies of this. The book goes to a second edition and 7,000 copies are eventually given to workers and residents all over the country, by the customer, the Housing Corporation. And as you can see, after years away from the social housing industry, since we left our jobs, housing organisations have rediscovered us and we’re working with several of them. Mostly around Manchester. But one of the oldest and grandest, the Guinness Trust, have got us working with them all over the country. Working with residents in East Manchester and Rochdale on how to redesign a couple of estates that aren’t working. And working all over the country with residents and staff on developing their Housing for Older People Strategy. We even run a national conference with them on this. 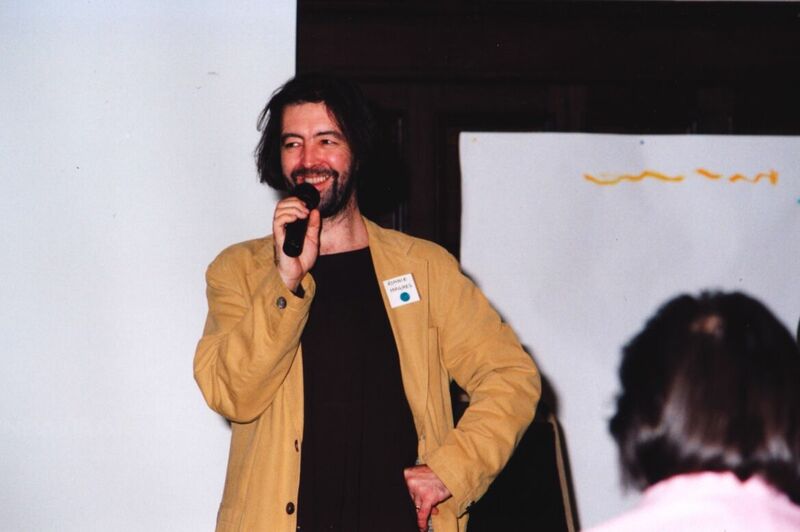 Running the Guinness Trust conference, 1999. Back in Liverpool we’ve got several things going on. 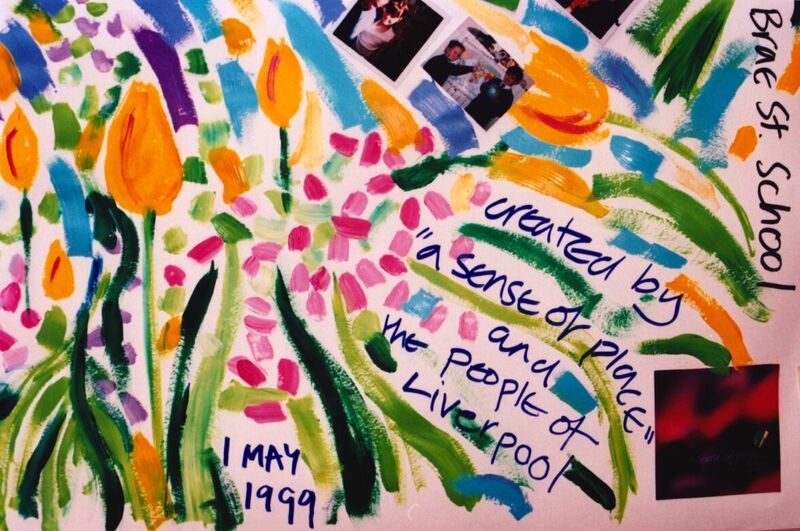 With local politicians and people from various enterprises and organisations around the city we run a series of Liverpool Vision events, to generate ideas for the politicians about a better future for Liverpool. Meanwhile the newish Labour government has created its New Deal for Communities initiative. And we do some work getting that going with people in the Kensington area of Liverpool. Big art is still involved. Here’s a detail from our joint ‘Kensington Fields’ piece. 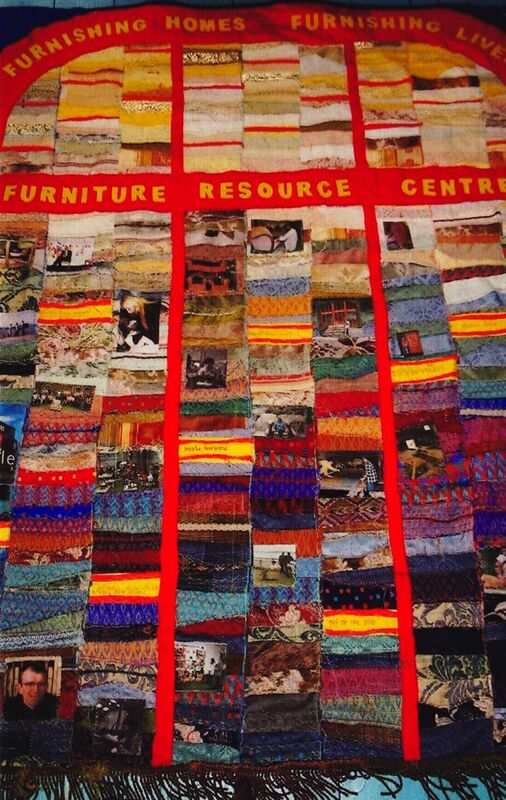 And we’re continuing the work begun in the last episode of our story with Liverpool social enterprise Furniture Resource Centre. The work will eventually be about helping them pull together their ideas about developing what they do, starting new enterprises, working with the board and senior team, and generally making an already fantastic place into an even more creative place to work. We love it though it is frustrating in this first year. That’s because FRC are relying on ‘Business Link’ to fund the work, which has been split into three sections of ‘business planning’, and they have to get ‘Business Link’s’ approval to proceed to each next section. They are aggravatingly slow with this, and so there are weeks go by when none of us are able to get on with anything. 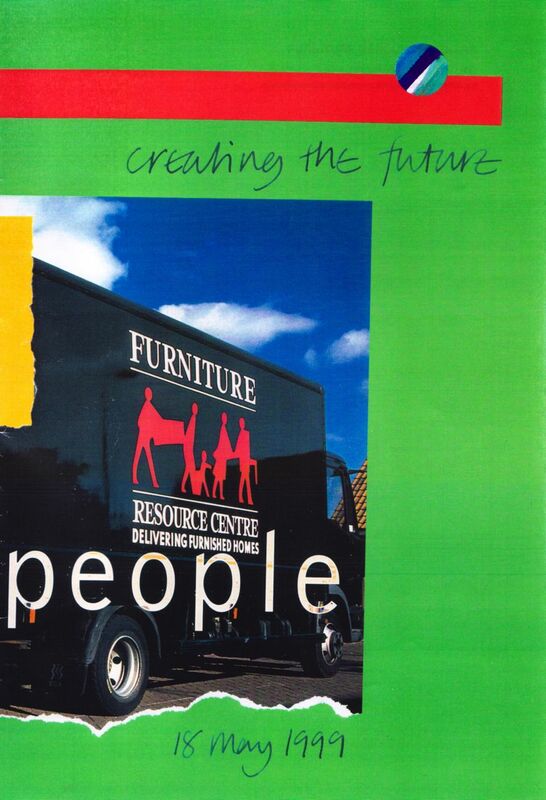 Also in May 1999, working with FRC. The Democracy Commission. 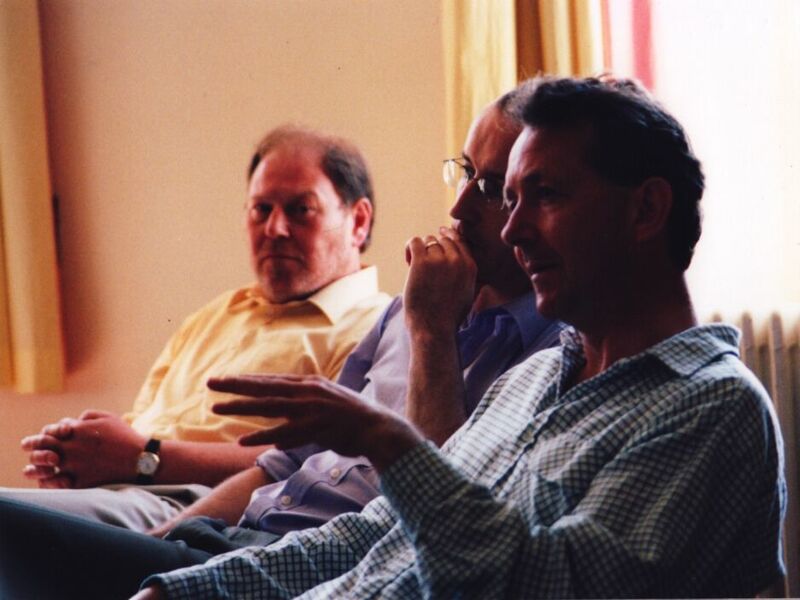 A lovely photograph by Sarah of Roger Phillips, BBC Radio Merseyside, Liam Black and Lib Dem peer David Alton. On the whole, they conclude that it would be a good idea to have an elected mayor. But recognise that the democratic process involved in bringing it about would be extremely complex. So nothing happens, until years later when an elected Mayor is imposed on the people of Liverpool by a deal between the City Council and the Coalition Government. So much for democracy. And we’re working regularly at Trafford Hall, the National Tenants Resource Centre, with community groups from all over Britain and Northern Ireland, who come to work with us on creating idea for ways they can make life better in the places they’ve come from. ‘a sense of place’ at Trafford Hall, August 1999. And so we are busy. I haven’t even listed all of our work here. But we are busier than we’ve ever been. And, on reflection working too hard. But thriving. 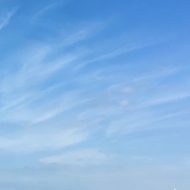 We take on a professional photographer we’ve been commissioning for other work to do some portraits of us, including the one at the top of this post. 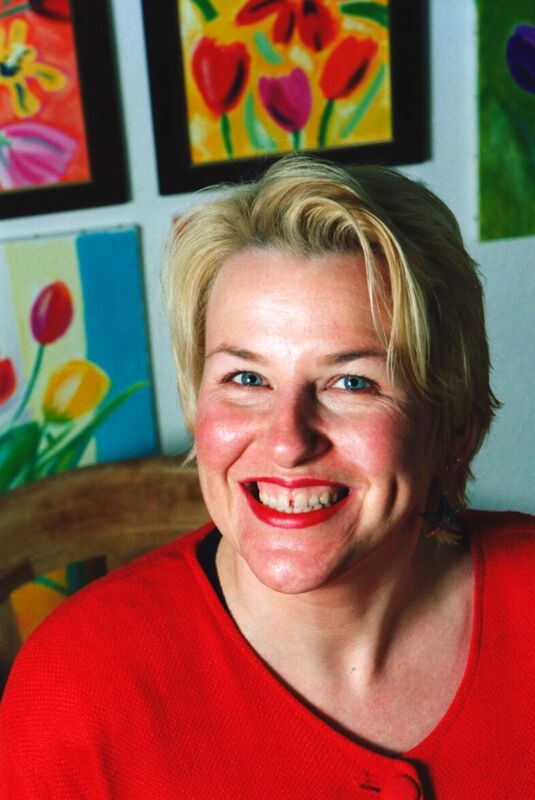 Sarah in 1999, surrounded by her paintings. 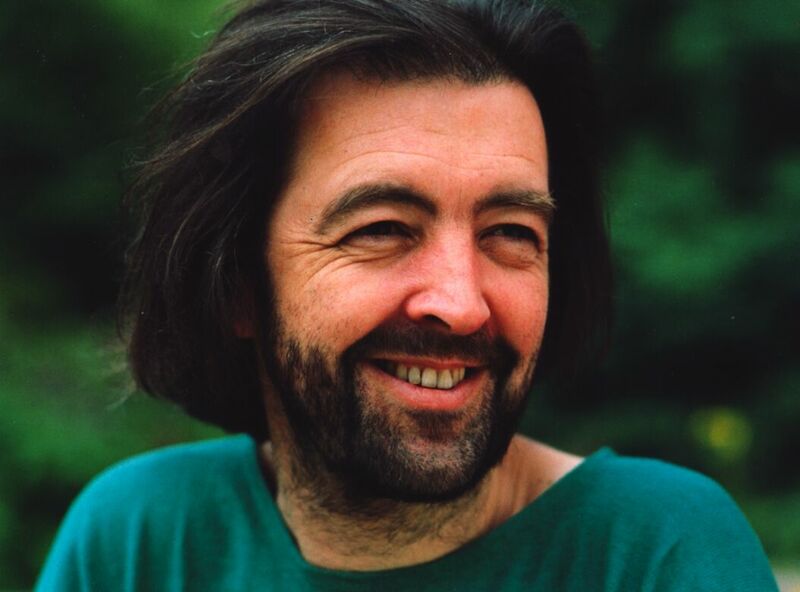 And me, in the days before grey hair had been invented. 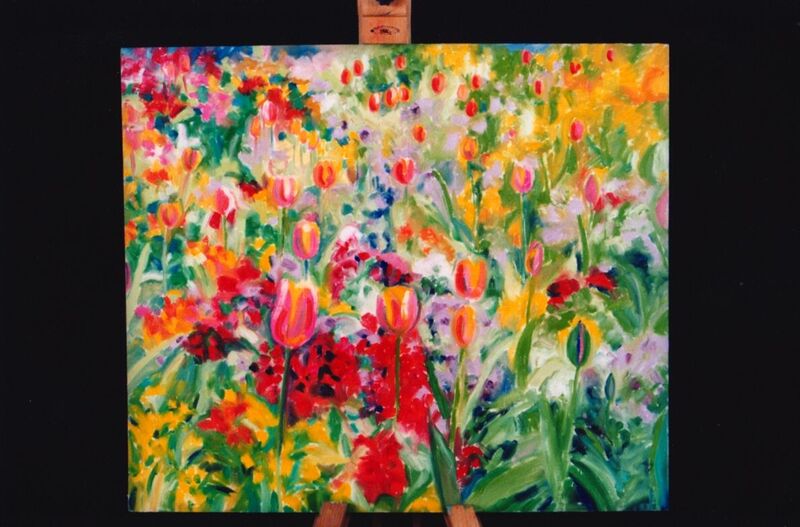 As well as for general use on brochures (yes money is still being spent on print) the pictures are for a special brochure promoting Sarah’s paintings. Like this one. 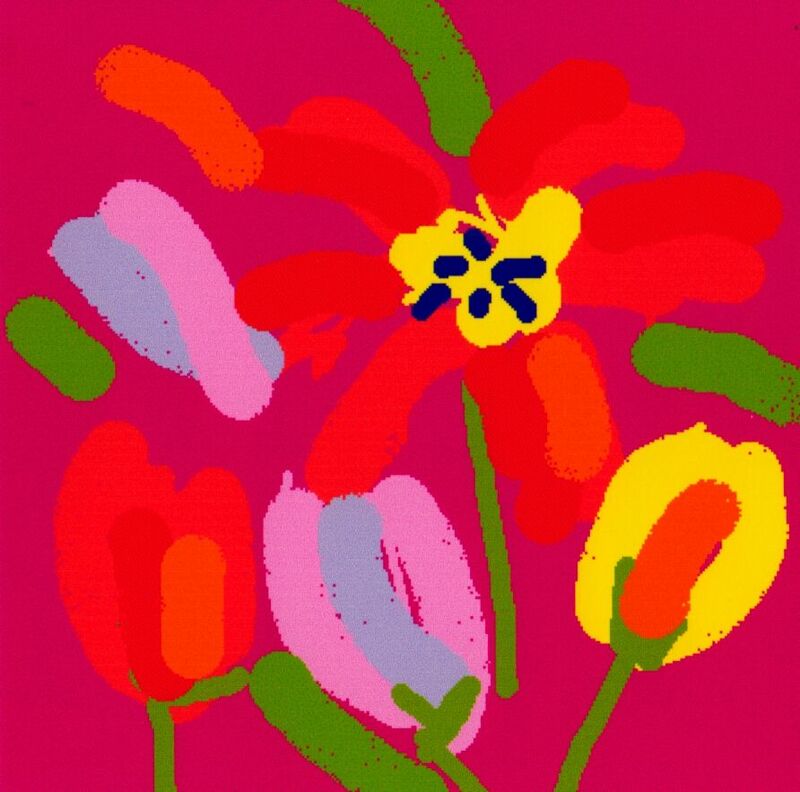 Tulips, 1999. We are even caring for pets, for the one and only time in my life. 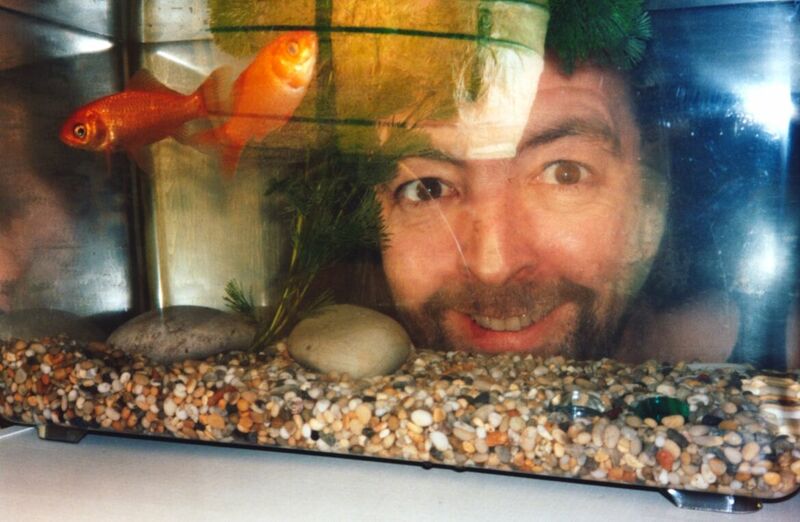 My daughter Clare has temporarily lost interest in her goldfish. So I mostly end up looking after them this year. And so everything looks fine. Working a bit too hard, as I’ve said, but healthy and thriving nonetheless. Sarah, in particular though, is working under a shadow for much of the year. Because in March she finds that her beloved father, Frank Horton, has terminal lung cancer. 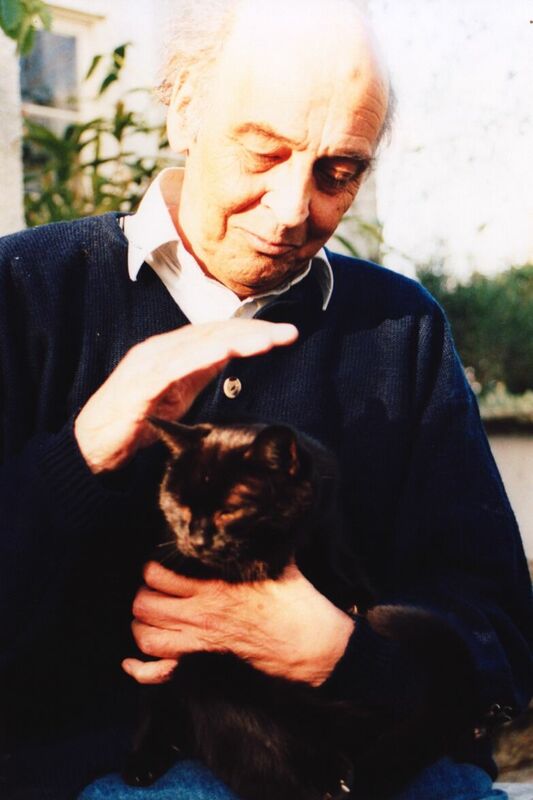 Frank Horton, with Erik the cat, March 1999. So Sarah spends as much time as she can with Frank over the next few months. And even though he’s had a successful career as a Liverpool University lecturer in the Architecture department, Frank tells me he’d always wished he’d been a doctor instead. So I run three free ‘pay it forward’ sessions of our ‘Finding the work you love’ course. Calling them the ‘Frank Horton Memorial series’. Much to Frank’s amusement. And things seem stable enough that Sarah even goes on a long planned yoga retreat in Montana, early in August. But then one day at the end of August we arrive home from working at Trafford Hall to find the answer machine full of messages. Frank has died. In the end Sarah will take some time off the following year to help her grieve for Frank. But for now she helps her family to organise his secular funeral (Frank was a committed atheist), speaks at it – and we carry on as best we can. And, as will happen again in the future, we find that times like this show us we’re really glad to have been so careful about only working with people we like. Everyone understands and Sarah gently gets herself going again by using one of her core skills. She makes a quilt. One thing we’ve learned during the year about the FRC culture is how everyone expects everyone else involved with the place to be prepared to throw themselves into anything and everything that’s going on. Even if you’ve never done it before. The place specialises in work and training for previously long term unemployed people, so there’s a palpable sense of joy from people who feel like they’re getting their lives moving again. 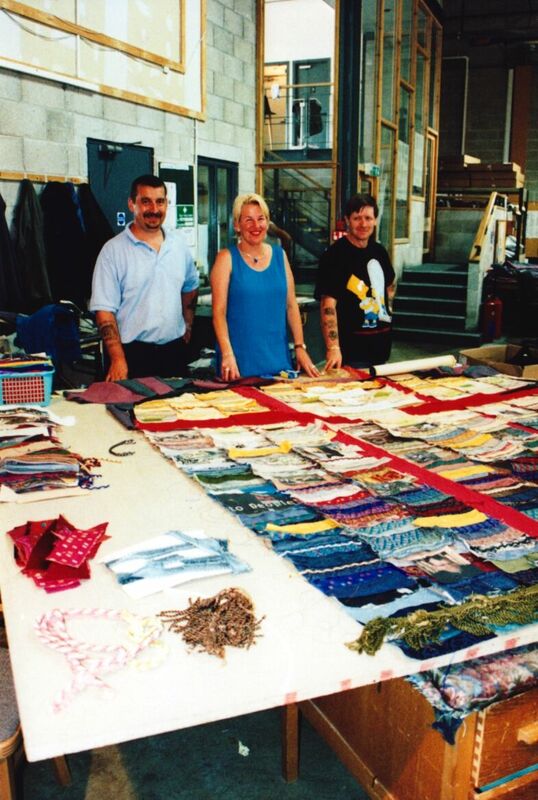 So at FRC the team of upholsterers, who usually work on the manufacture of their chairs and couches, join in enthusiastically with making the quilt, all out of FRC materials and photographs, which tells the story of their place. Robert, Sarah and Brian piece the quilt. FRC are also involved in one of our final pieces of work of the 20th Century. This is how. This year we have said goodbye to the original little Mac computer that Frank had given us. Because the first iMac has come out. The iMac. 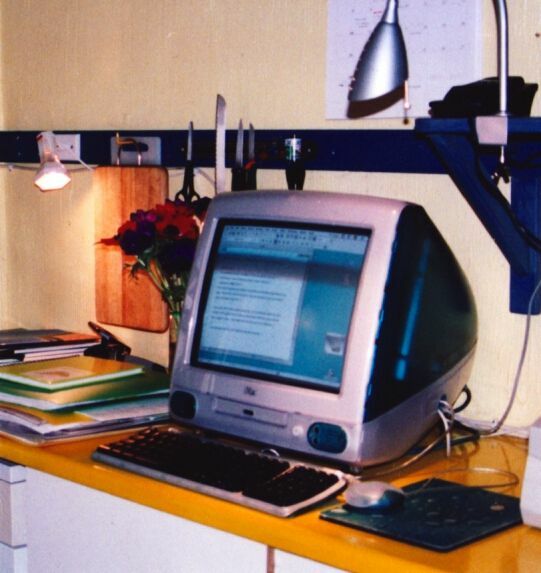 The internet arrives in our kitchen, January 1999. As well as the internet we’ve got colour, for the first time. And Sarah is soon using the new computer for her art. 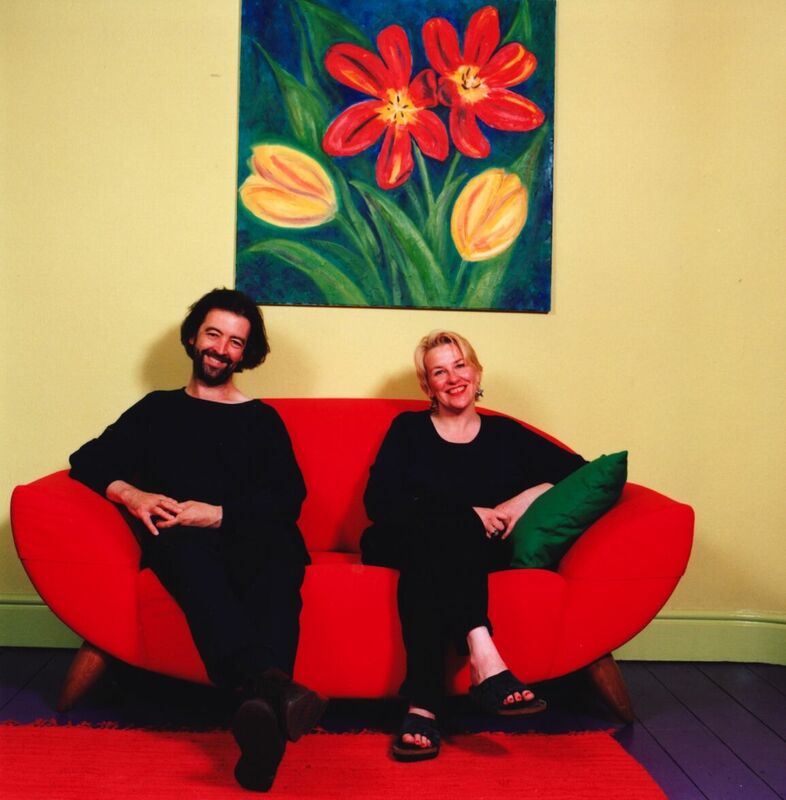 A different kind of tulip painting, on the iMac, 1999. She has also been exploring Photoshop. And uses her new skills on our iMac to produce this for our new FRC friends. 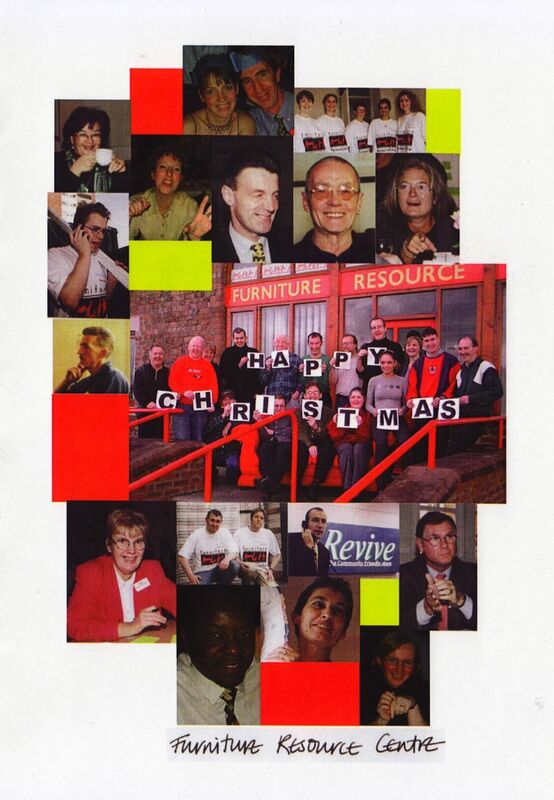 The FRC 1999 Christmas card. At the end of the year, the end of the century, we reach the end of the Business Link contract and FRC start paying us directly. And at that year’s FRC Christmas party we get down to the serious business of getting to know everyone there properly. Ready to begin what we’ll come to think of as our proper work together in the new year. Work that will truly be an adventure, full of great highs, low lows, and never ever boring. As you’ll see. So we cross the century. 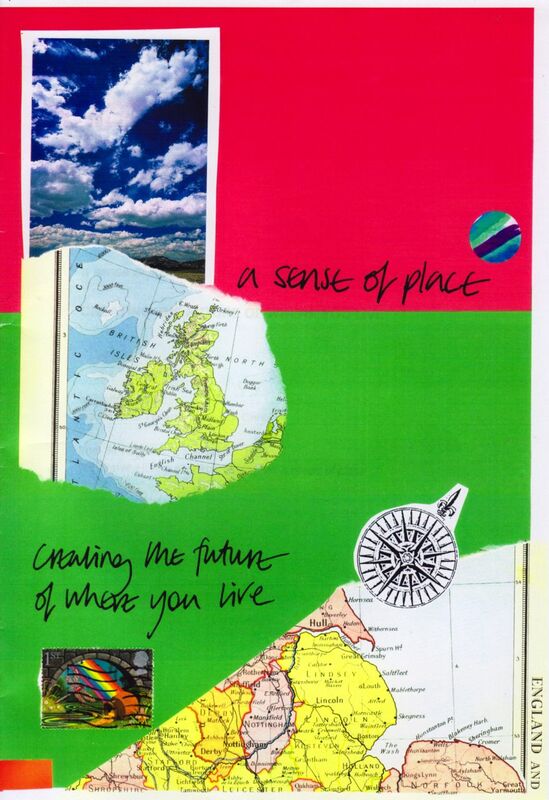 Three years out of our jobs and our ‘a sense of place’ idea has taken us into different lives. Where will it take us next? Next episode, will there even be a next episode? Granby 4 Streets, what’s going on? Yes, the book does still look good. 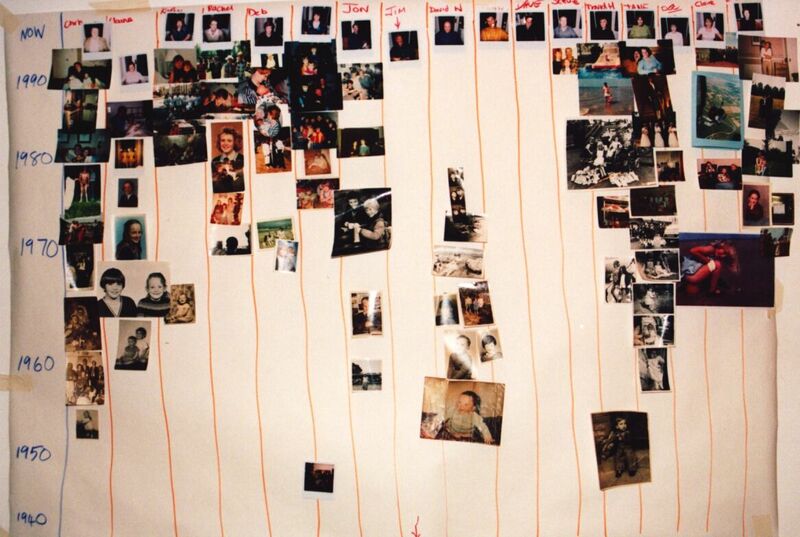 We actually did some of the work generating the ideas at Trafford Hall, but this was before your arrival I think? 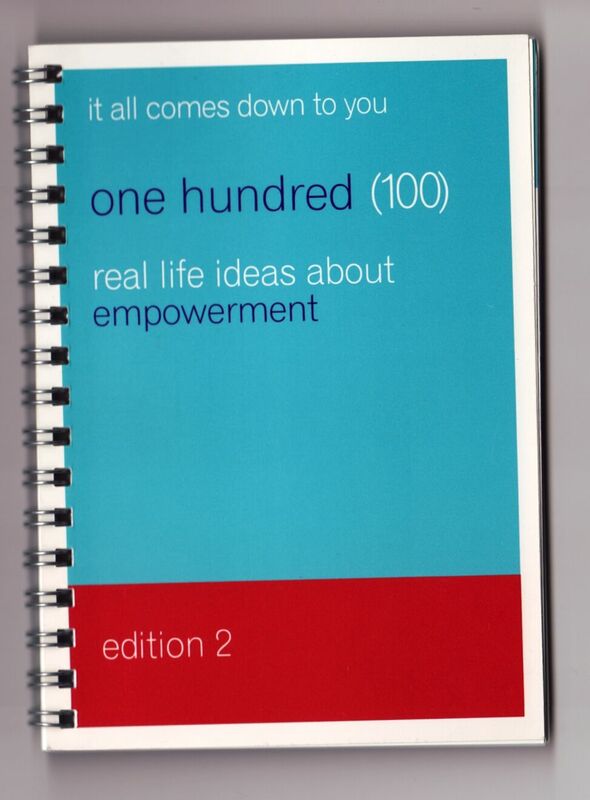 And the book was never for sale but given away to people working and/or living in residential care. As for the story, I think you’ll be turning up in either the next episode or the one after!